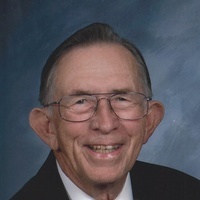 Walter Wallace Parks Jr, 97, of Green Forest, AR passed away April 8, 2019. He was born in El Dorado, AR on May 6, 1921, son of Walter and Vera (Murphy) Parks. Walter grew up on a farm in South Arkansas and graduated from Smackover High School in 1939. He proudly served his county in the U.S. Army during WWII where he earned a Purple Heart and three Bronze Stars. Before his discharge he attended an American University in France, then upon returning to the States he continued his education, earning a Bachelor’s Degree in Agriculture and later his Master’s Degree. In June of 1951 he married Ruby Barger and to this union two daughters were born. In 1952 Walter and Ruby moved to Green Forest where he taught Vocational Agriculture at Green Forest High School. In 1968 he went into the Postal Service and became Postmaster in Green Forest until he retired in 1983. Walter was a member of Green Forest First Baptist Church and the American Legion. He loved fishing, gardening and spending time with his family. He is survived by his wife Ruby Parks of the home, daughters, Linda Thomson and husband Bob of Green Forest, Angie Huff and husband Kenny of Osage, grandchildren, Kim Allen and husband Michael of Green Forest, Crystal Carter and husband Scott of Springdale, AR, Jared Thomson and wife Leslie of Tontitown, Susan Fancher and husband Joe of Rudd, great-grandchildren, Austin Allen and wife McKenzie of Russellville, Kyle Allen of Green Forest, Allison Fancher of Rudd PFC Caden Carter of Ft Bragg NC , Keaton, Crete, Keleigh and Kiara Carter of Springdale, Blake, Melena and Dawit Thomson of Tonitown, AR, brother, James Parks of El Dorado and sister Bettie Fair of Shreveport, LA. He was preceded in death by his parents and infant granddaughter, Belinda Thomson. Celebration Of Life will be 2:00 PM, Thursday, April 11, 2019 at Smith Family Funeral Home in Green Forest with Joe Fancher, Scott Carter and Van Edwards officiating. Interment will follow at Pickens Cemetery with Military Honors. Visitation will be 5-7 PM Wednesday April 10, 2019 at Smith Family Funeral Home. Memorials may be made to the Gideon’s International, P.O. Box 362, Berryville, AR. On line condolences at www.smithfamilyfuneralhome.net.